Inspired by his visits to our nation’s iconic national parks, JP Boneyard strives to inspire others to do the same. More than 50 artists have designed posters for the Fifty-Nine Parks series — all of which are screen-printed in the United States. And while Boneyard has not yet created a poster himself — “I’ve invested most of my time in producing and art directing the series,” he says — he is currently designing his first. With a penchant for also preserving the parks, Boneyard donates 5 percent of every online poster sale to the National Park Service; in 2016 and 2017 combined, Fifty-Nine Parks gave $10,000. Boneyard and Buccaroni have also taken the series on the road. In between national tour dates and local events in his hometown of Austin, Texas, Boneyard took the time to reflect on the project and the magnetism of our national parks. What inspired this series? 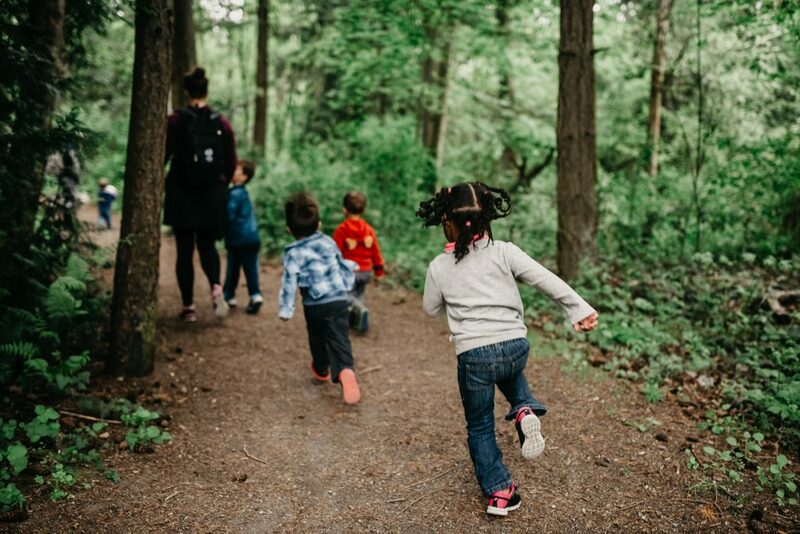 Do you have a personal connection to the parks? 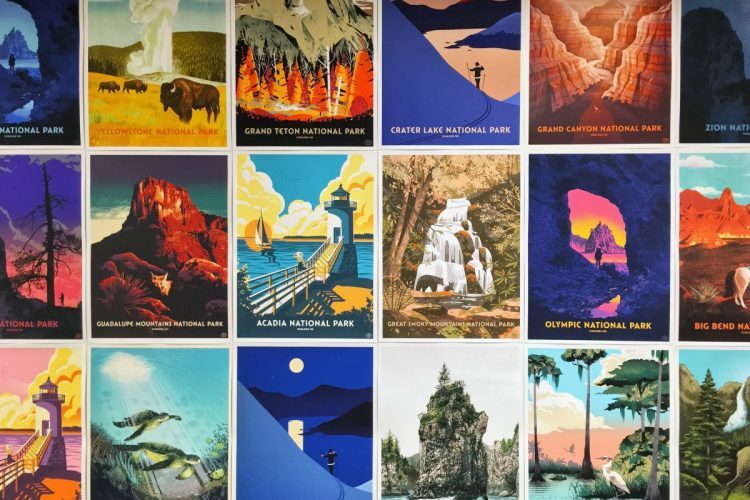 We love parks and printmaking, and we wanted to use our medium — in this case, posters — to celebrate some of the most incredible places in the country. I’ve been touring the U.S. with friends and bands since 2000. Being a broke teenager meant we couldn’t afford much on our travels. We often found ourselves visiting parks, monuments and museums because they were usually affordable or free. I love history and taking in new places, so this was the best of both worlds. That appreciation for parks and U.S. history has only deepened over the years. What is unique or most interesting about the series? Other park series have existed long before us and were done incredibly well. Our differentiator is having different artists illustrate a contemporary screen-printed poster for each park. At the time of our launch, we were the only series (to our knowledge) that was doing this. I believe there are now 60 national parks. Do you have plans to create a poster for the latest park — or to change the name of the series (mostly joking)? That’s right, we now have 60 national parks (what’s good, Gateway Arch?!). We thought about changing our name, but early on, we knew we wanted to make posters of international parks, so the name was going to be obsolete soon enough. At this point, there’s some momentum behind the name. Plus, we like how “Fifty-Nine” sounds. If there are over 400 sites in the park service, our name technically didn’t make sense from the start — especially since we knew certain monuments or historical parks were going to be included in the series. If anything, Fifty-Nine Parks will just be a marker of when we began: sometime between January 10, 2013, and February 22, 2018. Why was it important to you to give something back to the parks through this project? 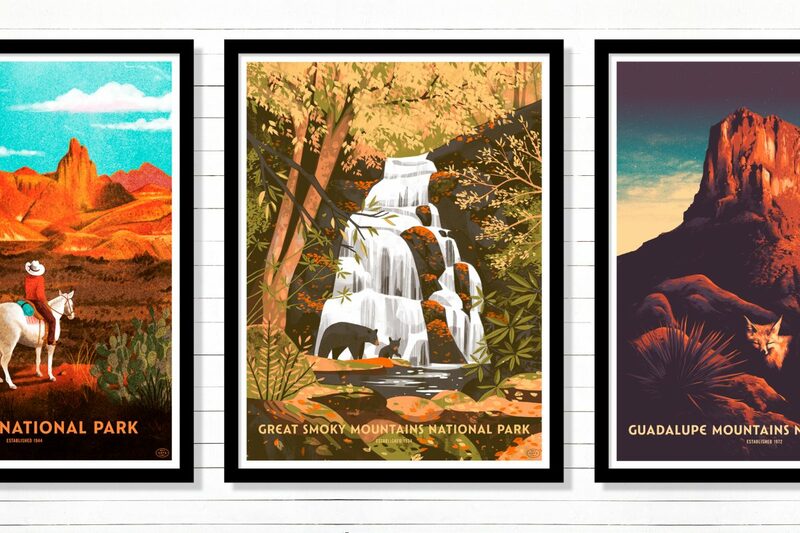 It’s really important to us to give back in some way — that’s why we donate 5 percent of each poster sale to the National Park Service. The work they do is so important, and we hope we can do more over time. We often hear stories about poster fans visiting their first parks because of the series. That call to action is a very real thing that we also like to lean into. We’re trying to encourage people to visit parks and to see the value in preserving these incredible public lands. In a lot of ways it’s just like the gig posters we made in high school and college: Here’s something that we feel is pretty amazing (in this case, a music event); how do we convey that message via an intriguing image so that we get people to attend? Instead of a music event, though, the call to action is to visit an amazing national park. You have also taken the series on the road. How has the tour been received, and do you have any upcoming events? Our origins for the series come out of The National Poster Retrospecticus (NPR). The NPR is a traveling poster show that features screen-printed posters made by artists from all over the world. The park series is kind of like our featured collection of work in the show. Both the show and the series feature many artists we’ve known or worked with for decades. It’s so nice to see them all together in what makes for an eclectic mix of work. We’ve found that we’re getting a lot of outdoorsy folks into their first poster show. 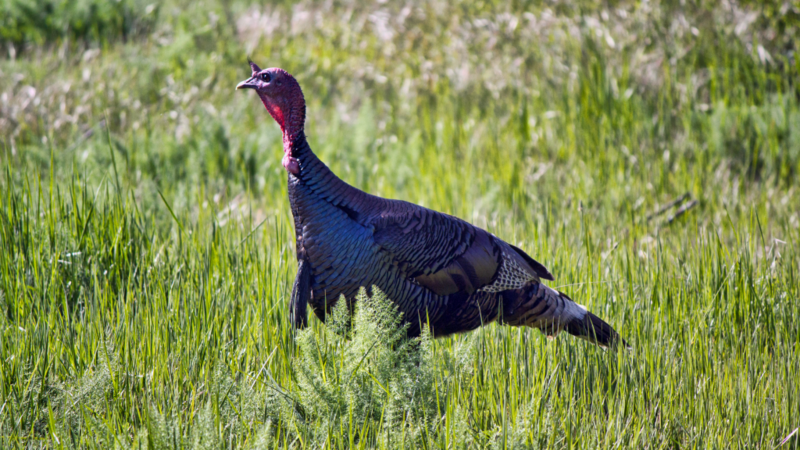 At the same time, we hear about a lot of poster folks getting into the outdoors via the show. It’s awesome to see this cross-pollination happen. The spirit of the poster show is to bring people together through art, design and, now, the parks. We just returned from three months of the road. We did our 100th show, displayed at Adobe Max and Marvel Studios, did a few pop-ups and visited a few National Parks. And we have a big show with our friends at Mondo Gallery in Austin coming up this month. We’re looking forward to that one. What are your aspirations for Fifty-Nine Parks? We’d love to see the series continue beyond the 60 national parks. It will totally depend on what’s sustainable for the series, though. We’d love to do a tour of the national parks and do pop-up art shows at each. It would be so much fun to do print demos and educate visitors on printmaking, illustration and the parks. We also have a book in the works. Glacier is the place I often want to go back to the most. It’s partly sentimental, but it’s a park that just speaks to me. 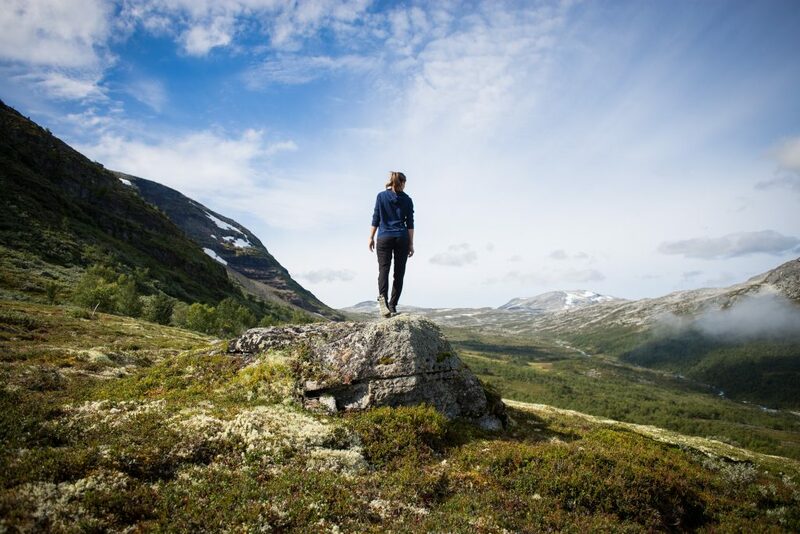 There’s always more to explore no matter how many times you visit. Sequoia is another favorite. If ever there’s a park that feels like magic, it’s Sequoia. Zion is unreal and beautiful. This is tough; I’ll just end up listing names of every park if I keep going!